Vagrant Rant Movies. Games. Music. "Life". A quick follow-up! 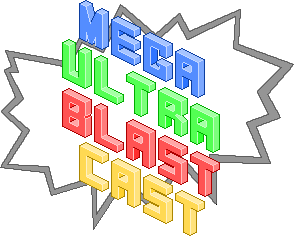 Episode 13 of the Mega Ultra Blast Cast returns to the regular podcast room and focuses on the pair of brand new next-gen consoles, the Xbox One and the PS4, which hit Australian shores at the end of last month. Listen and you’ll get our in-depth impressions of the new consoles, our regular segments and three personalised lists of our top ten favourite games of the Xbox 360/Wii/PS3 generation. All this means that it’s a pretty long episode, but it has been a very long time since our last proper recording, so please bear with us. If you feel so inclined, go for a run, take a scenic drive or just curl up on the couch and play some games while you listen to the opinions of three Sydneysiders breaching new gaming frontiers. As always if you enjoy what you hear please share the cast with your friends – Cheers! Enter your email address to follow this "blog" and receive notifications of new posts by email! Follow it. Follow it right now.